There leaves are falling, the days are getting shorter, and the temperatures are getting colder. With the arrival of the fall and winter also comes another season: Flu season. Nobody likes to come down with the flu, which is why at this time of the year, advertisements for the flu shot are everywhere. The vaccine can be administered at a doctor’s office, or it can even be given at a local pharmacy! Though the flu shot has become very popular, a lot of parents wonder if it’s really something that their kids should have. Before you rush your kids to the pediatrician or a pharmacy, you probably have some questions about the flu shot. Here’s a look at some valuable food for thought that will help you decide if the flu vaccine is something that your little ones really need. Does your child really need the flu shot? Yes, most children do need it. Though the influenza virus is common, its effects can be quite unpredictable. Even otherwise healthy children can experience serious health complication, including death, as a result of the flu. Every year, an estimated 200,000 people are hospitalizes as a result of complications associated with the flu. During the 2016-2017 flu season, it is estimated that more than 100 children perished from flu-related complications. 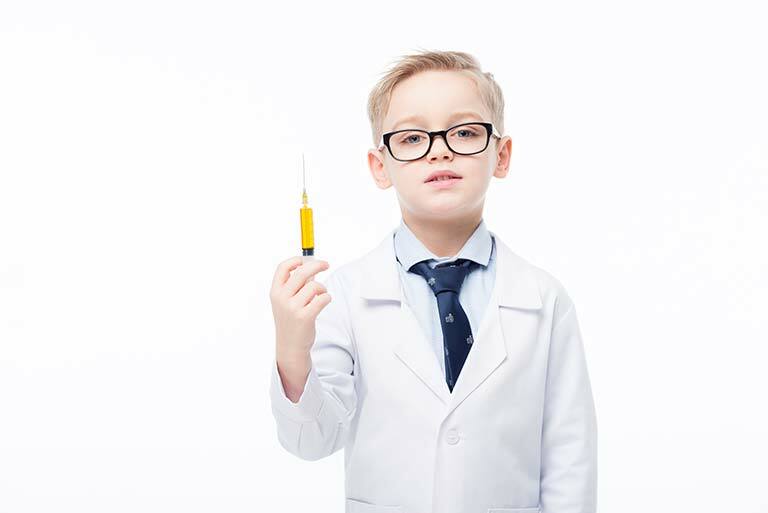 For these reasons, the Centers for Disease Control and Prevention (CDC) suggests an annual influenza vaccine for any child who is 6 months of age or older. Moreover, the CDC recommends getting the vaccine as soon as it becomes available to ensure that your child is protected before the flu season goes into full-swing. While any child who is older than 6 months, including teenagers, should get the flu shot, it is particularly important for anyone who is at risk of developing complications as a result of the flu. For example, if your child suffers from a chronic medical condition that the flu could compound, such as asthma, the flu shot is highly recommended. The benefits the flu vaccine will provide for your child are pretty obvious. Namely, it will prevent your little one from contracting the flu and suffering from the side effects – which can be grave – that are associated with this common illness, such as a fever, aches, pains, sore throat and respiratory issues. When your child has the flu shot, not only will it help to prevent him or her from contracting influenza, but it will also help your child avoid missing days off from school, and will help you avoid taking time off of work to care for an ill child. Now is the time to have your children vaccinated. Shipments of the flu vaccine have already started and are being delivered to several dispensaries, including your child’s pediatrician. It is best to get the vaccine as early as possible, as it can take up to 2 weeks for your child to be fully protected by the vaccine. Additionally, shortages do occur, which could prevent your little one from receiving this important vaccine in a timely manner. Don’t leave your child’s health to chance this flu season. Call 848.300.0010 to schedule an appointment with Dr Khullar today for an influenza vaccine today!